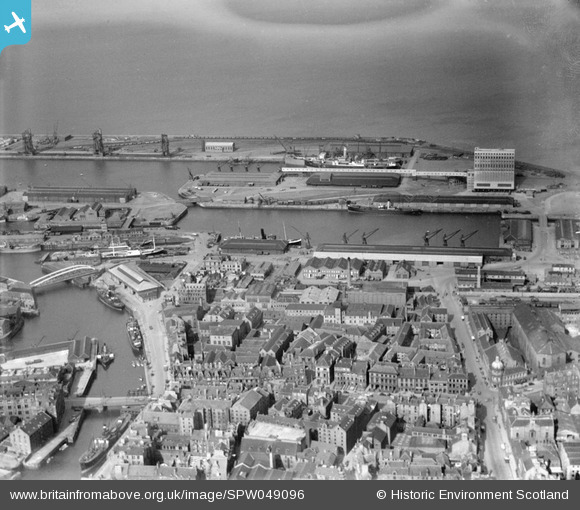 spw049096 SCOTLAND (1935). Albert and Imperial Docks, Leith, Edinburgh. An oblique aerial photograph taken facing north. Title [SPW049096] Albert and Imperial Docks, Leith, Edinburgh. An oblique aerial photograph taken facing north. Grab No.1 floating steam crane. Still alive and moored in the Edinburgh Dock, Leith. Here is a pic of her steam engine.